Oh dear, I love dill. I grew a ton of it this year, because it’s my favorite herbal additive to my morning green smoothies. But there’s more to dill than it’s lovely liquid union with strawberries and citrus (seriously, strawberry-dill smoothies are SO good). 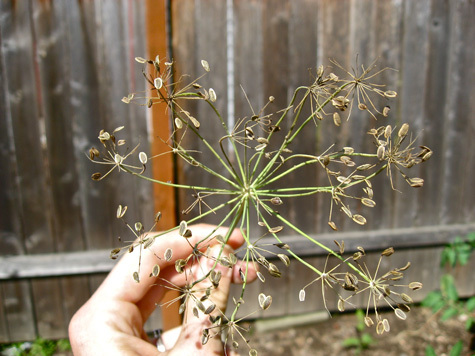 Dill seed is also a unique spice, similar to caraway with hints of that fresh dill flavor. Sometimes it even reminds me of rye. It’s delicious in home-baked bread, great when ground into salad dressings, and perfect for slow-cooking roasts and stews. And of course, it’s key for homemade pickles! Dill is also a natural remedy for all sorts of maladies, from gas and indigestion to insomnia and menstrual cramps. 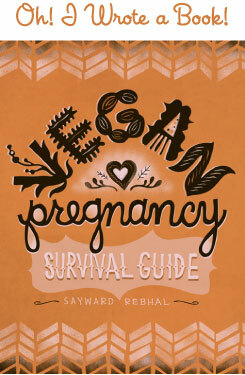 It can also ease the symptoms of cold and flu, and colicky babies. 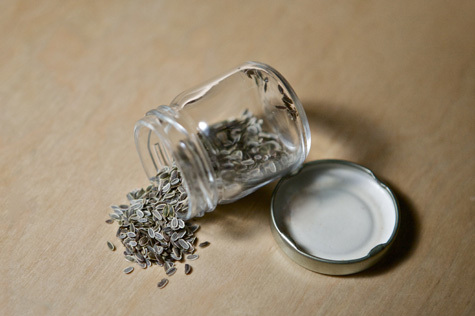 You can soak your fingertips in a dill seed infusion to strengthen your nails! Saving the seeds is so damn easy, this is really more a reminder that it can be done, as opposed to a tutorial of how to do it. Of course, because I’m me I’ve got all these pictures so I might as well walk you through it! Begin collection after the dill has flowered and started dying back. You can pick the heads while the seeds are still green. 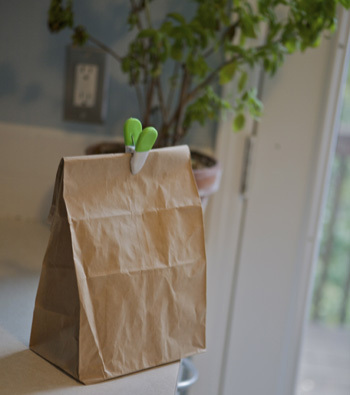 Just place all the heads in a brown paper bag and allow them to dry completely, 1-3 weeks. Once the heads are dried it’s pretty easy to remove the seeds. Some will shake right off. The rest you’ll need to pluck, which can be a bit time consuming, but it’s quite worth the time. And that’s really all there is to it! 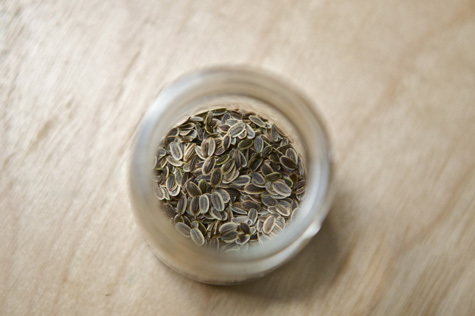 Store your seeds in a cool dry place and use within the year for maximum flavor. I think I’m going to make some dill infused potatoes first off. Then some onion dill rolls (I’ll definitely post a recipe if these work out!). And after that, who knows . . . any ideas? I love dill, and that’s my name haha! I didn’t know about the nails! I’m going to try that!